Some might say there’s an industry-wide problem with pitch systems: They’re too quick to the pull trigger on a wind turbine shutdown. With a well-integrated pitch actuator and main turbine controller, you can actually avert 20-30% of emergency shutdowns that occur in less sophisticated systems. That means you can extend the life of your turbine components by 20-30%! In an emergency, it’s sometimes critical to get a turbine stopped rapidly. Even if it’s impossible to avoid a wind turbine shutdown, you can certainly minimize its effects -- with the right blade pitch actuator. Keep reading for an analysis of pitch system shortcomings and what the modern answer is for avoiding harmful emergency shutdowns. 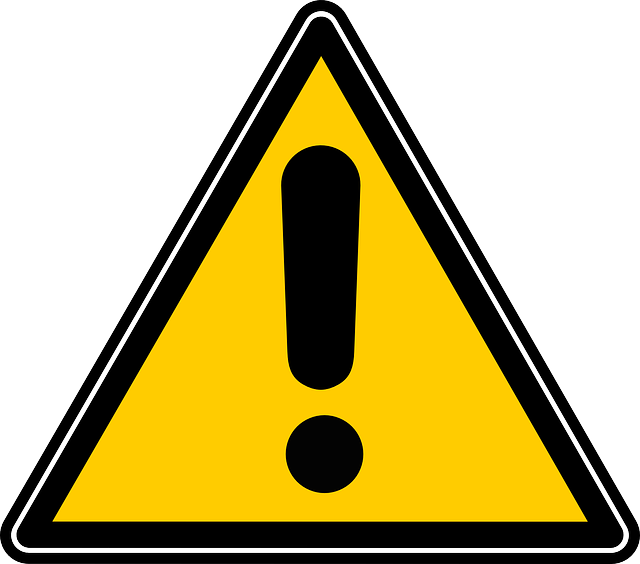 Say your wind turbine underwent an emergency shutdown because of a malfunction in your generator. Yet you didn’t do anything about the warning you saw 5 minutes before. An underappreciated and underutilized part of cutting-edge pitch systems is their ability to predict potential shutdowns. A pitch system fault could be an indicator of a problem caused elsewhere in the turbine. Rather than blaming the pitch system for a fault, it’s time to recognize that the pitch actuator (a good one, at least) is pointing you to the real culprit for a shutdown. There are two ways a wind turbine system will stop operating. Controlled feather shutdown -- The motion of the blades can be profiled in a special way to be more gentle on the turbine. This can be done without significantly consuming service life. Emergency feather shutdown -- This is a more violent event, which creates damaging fatigue loads in the turbine structure. In other words, it saps the life of your turbine more quickly. Make a Warning out of a Fault! What makes Windurance’s blade pitch actuator different from any other? It makes every attempt to shut down your turbine in a controlled manner. This is a quality exclusive to Windurance pitch actuator systems. When the blades are at a braking angle, they are in “feathering” mode. This is opposed to “power” mode, when the blade is fully pitched to the angle of attack on the wind to generate maximum power. Windurance products can discriminate between certain off-nominal conditions that can lead to need for an emergency feather shutdown. Having an actuator system that tells the blades to feather before trouble hits allows the structure to gradually come to a stop. Much better than the alternative of a sudden emergency shutdown, which is basically like flipping a switch -- a much more sudden and violent event. It’s worth noting too that a rudimentary pitch system may snap to emergency feather control at the slightest whiff of a problem. This is because it lacks the sophisticated protocols and data analysis a cutting-edge system offers. Windurance’s technology embeds velocity-profiling capability, which harmonizes with the dynamic response of the wind turbine. The pitch actuator is able to decrease wear and tear on the structure during abnormal events. Region I -- The turbine is creating no power. Region II -- When the turbine is in operation up to the top end of this region, its blades reach full power. 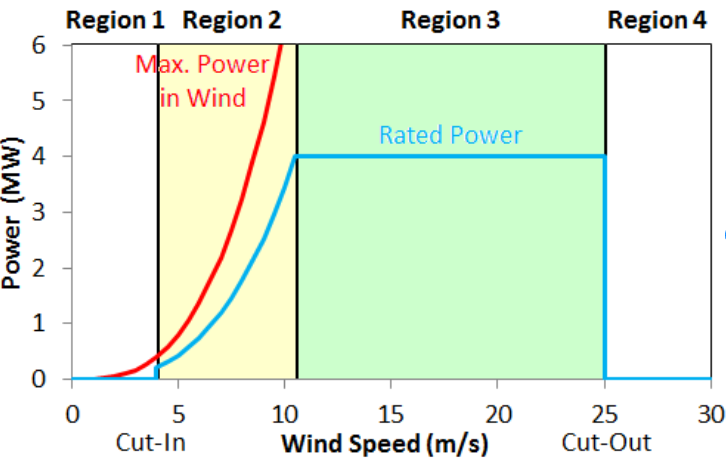 Region III -- Wind speed is too fast for the turbine to safely maximize power, so your pitch system feathers the blade for better efficiency. As wind speed continues to increase, the blades begin to pitch off the full-power setting. It’s ideal to have your turbine run in Region III so it’s making the best use of that power. Region IV -- At this point, wind speed is too high for the turbine to continue operating. A controlled feather begins and the turbine shuts down. Now that you better understand the role that pitch actuators and shutdowns play in your wind turbines’ well-being, it’s time to examine your systems. Do you need a more sophisticated way of executing shutdowns in your systems? Start with your blade pitch actuator. Contact us if you have questions about how a pitch actuator system can extend the lifetime of your wind turbine systems.